Commercial vehicle insurance underwriters, Direct Commercial Ltd. (DCL), and cloud-based video telematics provider, VisionTrack, are together revealed as headline co-sponsors at the FORS Members’ Conference 2018. The two companies have combined to produce ‘Camatics’ – a specialist fleet insurance policy to provide premium security and outstanding benefits. 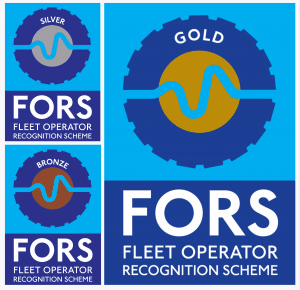 The FORS Members’ Conference – free to attend for FORS members – will take place on Tuesday 16th October, 2018, with FORS again choosing the National Conference Centre in Solihull as its venue. This year’s conference theme is ‘10-years of evolving best practice’ and will include both a celebration and a retrospective of the scheme’s many notable achievements over the last decade. Headlining the proceedings will be the introduction of version 5 of the FORS Standard. DCL and VisionTrack will adopt a prominent position throughout the one-day conference and will be central attractions within the dedicated exhibition hall. Focusing on the companies’ Camatics product, FORS members will see how policy holders can achieve an 18% reduction in claims costs and a 24% reduction in incidents. VisionTrack’s extensive product range provides a visual insight into driver behaviour, resulting in increased levels of safety, better driving performance and greater efficiency. DCL’s insurance product portfolio includes its primary Commercial Motor Fleet policy supported by a range of dedicated products including Haul-in-One.com – for instant online quotes for one-to-ten vehicles which are engaged in most occupations including couriers – and Wasteline, for hazardous goods operators. Insurance for bus and coach operators is also available. The FORS Members’ Conference – now a key event in the transport industry’s events calendar – will see presentations and lively debate from leading figures representing a wide cross-section of the transport sector including Rob Flello, transport industry consultant and founder of the Parliamentary Freight Transport Group, and Peter Kay, Head of Learning & Development at Tarmac. The conference will be chaired once more by well-known industry commentator, Brian Weatherley. Over 30 FORS Associates will present their products and services at a dedicated exhibition zone, much of which discounted specifically for FORS members.